Thanks Good Company for featuring us! Watch us give Twin Cities Live a tour of our warehouse by clicking on this photo. 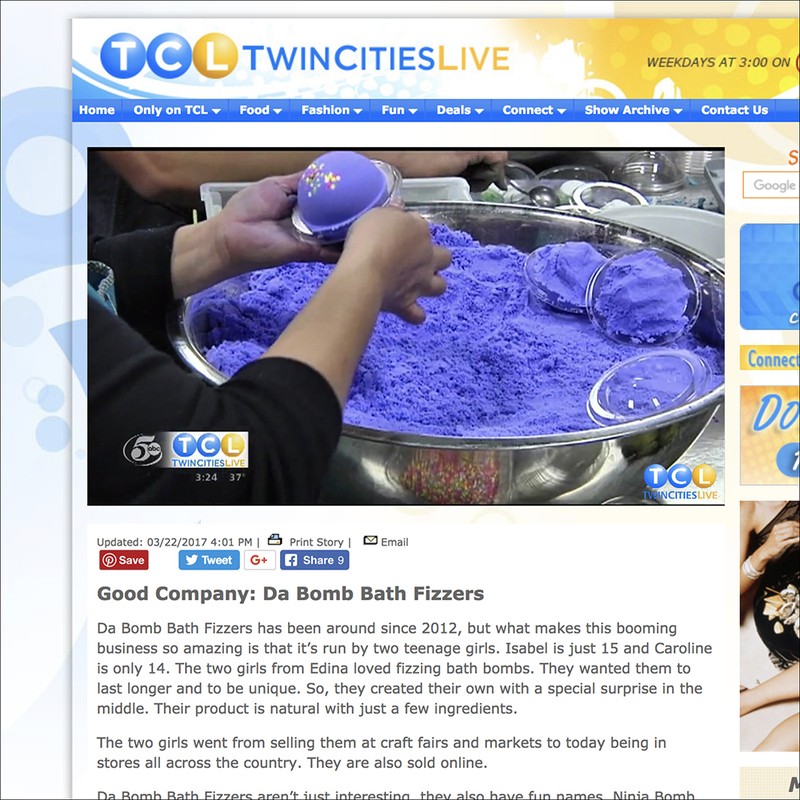 Emily Engberg from Twin Cities Live joined us for a tour at Da Bomb Bath Fizzers and even had a hand in making our surprise-filled bath bombs! Our Q&A with Money Magazine! We Were Spotlighted for National Women's Small Business Month!